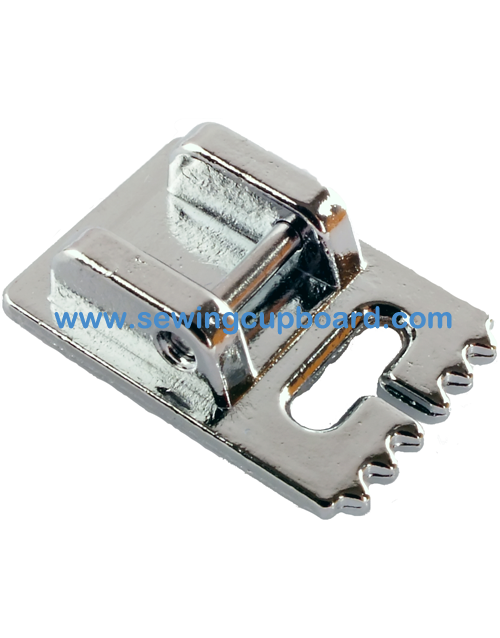 This 5-groove pin tuck foot, when used with a twin needle, helps you to make virtually perfect pin tucks, and is also perfect for sewing corded pin tucks on shirts, blouses and many home decorating projects. This foot is ideal when making pin tucks with slightly larger intervals, and for more prominent tucks on medium-weight fabrics. Not recommended for use with firm or thick fabrics.